It is normal for blood oxygen levels to decrease during sleep. However, when it persistently drops below maintenance levels, health problems can develop. In addition, certain medical conditions can lead to low oxygen while you are asleep. All body systems have altered basal function during your sleep, including breathing. You don't breathe as deeply when you are sleeping, and not all your lung spaces (alveoli) function at full capacity. Because of this effect of sleep on breathing, it is normal for your sleep oxygen level to decrease below awake levels, according the Respiratory Care. Under normal conditions, oxygen levels during sleep are maintained in a normal range. However, certain medical problems can lower your blood oxygen below normal levels, and this effect can worsen during your sleep. This can present a real risk for sudden death if not treated. Chronic low blood oxygen level (hypoxemia) at night can also lead to health problems. Anemia: The decrease in hemoglobin (Hgb) with anemia lowers the ability of your red blood cells to absorb oxygen from your lungs and carry it to your tissues. Abnormal Hgb, such as with sickle cell anemia, causes the same problem. Obesity: This a cause of sleep apnea where the throat becomes obstructed during sleep and interferes with breathing. Obesity also causes obesity hypoventilation syndrome (OHS), with diminished deep breathing and oxygen intake. Drugs: Chronic use of prescription or illegal opioids, sedatives, and recreational or other illegal drugs can depress the brain's breathing center and therefore slow down your breathing and oxygen intake. Alcohol: Abuse of alcohol, especially at bedtime and mixed with drugs, can interfere with normal breathing and sufficient oxygen intake. Pulse oximetry: The hemoglobin of your red blood cells absorbs the oxygen from your lungs. Pulse oximetry measures how saturated your red blood cells are with oxygen. The test is done with a small device clipped on to your finger or earlobe. Arterial blood gas (ABG): Measures the amount of oxygen dissolved in the blood. The test is done by drawing blood from an artery and analyzing it in the lab. If you think your oxygen level falls below normal while you are sleeping, consult with your doctor. He might suggest a sleep study as part of your evaluation. During an overnight stay in a sleep center, a technician monitors your breathing and other signs, as well as your blood O2 sat with a pulse oximeter during sleep. According to the UCSF reference, the treatment for low blood oxygen, whether during the day or while sleeping, is supplemental oxygen. 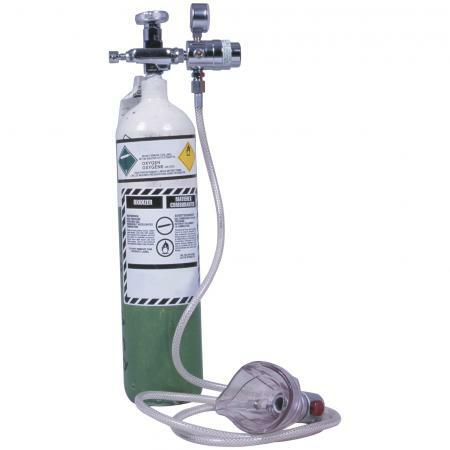 Your doctor determines how many liters per minute of oxygen you need to keep your blood O2 sat at or above 90%. Your doctor will recommend the equipment you need for oxygen therapy, which can be obtained from manufacturers like Philips Respironics. Treatment with supplemental oxygen will be in addition to the treatment of any underlying cause of the sleeping hypoxemia. If sleep apnea is the cause of your low oxygen, the doctor will likely prescribe a continuous positive airway pressure (CPAP) machine and supplies to keep your breathing airways open during sleep. Symptoms like fatigue, shortness of breath, lethargy and weakness should improve soon after you start treatment. How long you continue on oxygen therapy will be determined by your doctor and based on the cause of your low oxygen while asleep and your response to treatment. Your doctor or respiratory therapist might periodically check your O2 sat on occasion to make sure it is in normal range on supplemental oxygen. You can also buy a pulse oximeter online from a medical supplier and monitor your O2 sat yourself. Low oxygen in your blood while you sleep can affect the function of your vital organs, such as your brain, heart, liver, and kidneys. This puts you at risk for dying during your sleep from malfunctioning of these and other organs. 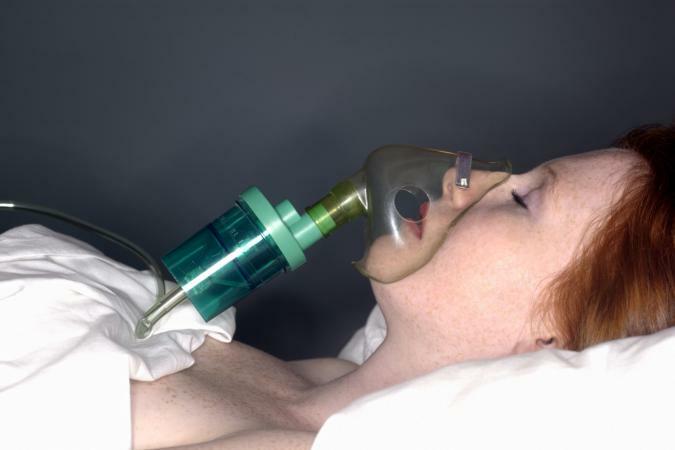 Don't wait to see your doctor if you suspect hypoxemia while sleeping.